As you have noticed over the past couple of months the cottonwood trees have been releasing their seeds into the air. In some areas it is almost impossible to walk around the block without inhaling a couple of these cotton paratroopers. 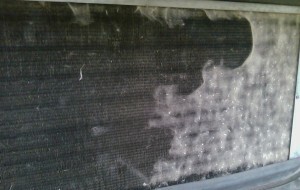 With the air conditioner running they are constantly pulling air across the coils. Along with the air comes the cottonwood which eventually plugs up the condenser and reduces the cooling capabilities of the unit. 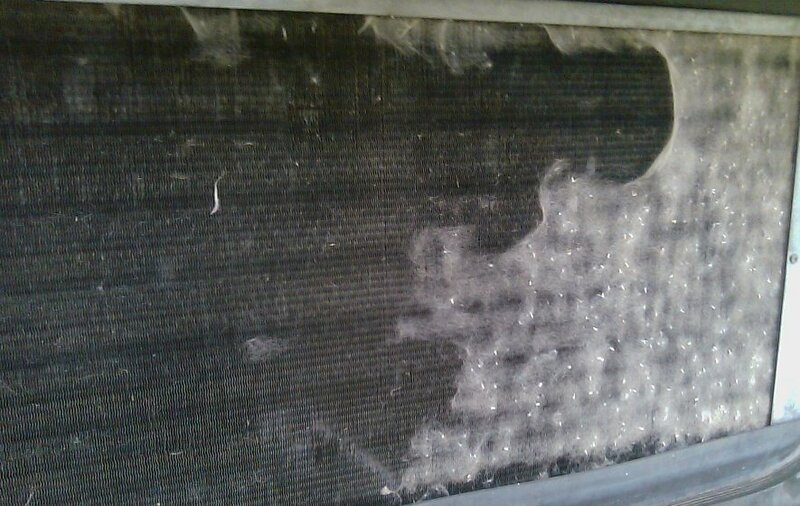 This also creates extra wear on the fan and other parts of your air conditioner, reducing the life expectancy. Your coils should be cleaned at least once a year and more if you have a lot of cottonwood trees around. If you have a Quarterly Preventive Maintenance (QPM) contract with United Operations, Inc, we included one cleaning of coils in the spring. If you do not have a contract we would be happy to give you a quote.